Slumber Party at The Beach is the perfect place for fun, sun, drinking a bit too much and making like long friends in Thailand. 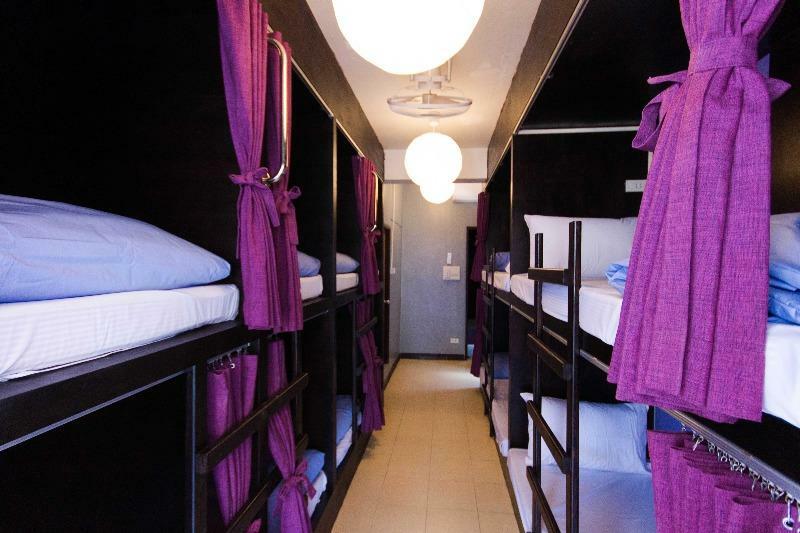 Located less than 50 meters from the beach we are in the heart of Ao Nang. We cannot wait to meet you! Slumber Party at The Beach has 2 mixed dorms, one 8 bed and one 12 bed. Both have aircon as well as fan. We also have 3 shared bathrooms, 2 sun decks / paitos, hammocks, an awesome bar, ping pong table, fussball table, and a 55' flat screen to watch all the game and movies on. AND if that's not enough, we also have the cheapst and most AWESOME bar in Ao Nang. Adorable coffee tables with comfy chairs. TV and DVD player to watch the latest hits. Ping-Pong table that becomes a Beer-Pong table at night. Bar stools to sit around at the chilling deck and mingle with your roommies. We are located in the center of Ao Nang beach directly behind Scuba Addicts and Mr. Tattoo. If you get off at any of the 'Monkey' bus stops simply walk towards the beach, when you see Mr. Tattoo and Scuba Addicts take a right and you will run into O'malleys pub, take another right and we are 10 meters down on the left.